The Sorcerer’s Apprentice is Practically the Definition of Goofy Summer Fun! It’s that time of summer, again: Bruckheimer time. Instead of another National Treasure film, though, this time we’ve got The Sorcerer’s Apprentice – inspired by [and including an homage to] the Mickey Mouse/Sorcerer’s Apprentice short from Fantasia. It’s a loud, jam-packed, cheerily crazy piece of work that could spawn yet another franchise for Bruckheimer and star Nicolas Cage. Things start to pick up when the film shifts to 2000 and introduces young Dave [Jake Cherry], whose out of the box thinking gains the attention of young Becky [Peyton Roi List] – an attraction that gets lost after a wizardly duel and a spilled jar leave Dave looking like he’s wet himself – but not before he’s identified as the Prime Merlinian by both Balthazar and Horvath. 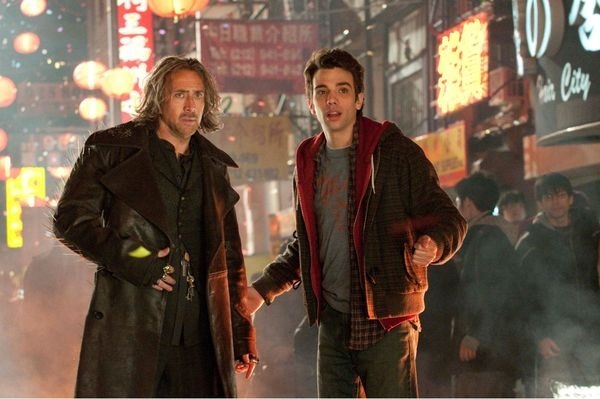 Moving to the present, Dave [Jay Baruchel] to sort things out. Dave is, now, a physics geek at NYU with a huge project involving Tesla coils to get him some serious extra credit. By some odd chance, Becky [Teresa Palmer] is also a student at the university – but her passion is more for the music she spins for the school’s student-run radio station than anything else. While Dave is trying to not embarrass himself with Becky, he’s also encountered Horvath and Balthazar again – and realises that he’s going to have to learn magic to a) keep from getting killed by Horvath, and b) face Morgan Le Fey. And you thought your life was complicated! From the moment we get past that ominous prologue, The Sorcerer’s Apprentice picks up momentum as it progresses. By the end, challenges have been met and surpassed and the final duel between Dave and Morgana looms. Somehow, Dave even manages to persuade Becky to help. Like the National Treasure movies, The Sorcerer’s Apprentice is goofy and, like a shaggy dog, hard to ignore – and just as hard to dislike. At times, the effects threaten to overwhelm the characters, but the cast is so talented that they weather than particular storm. Cage, in particular, dives into the slightly crazed Balthazar in the way that only he can. Molina invests Horvath with such a seething malevolence that when we learn the reason he hates Balthazar, the barest flicker of heartbreak and vulnerability seems like the height of character development. Baruchel may be playing a variation on characters we’ve seen from him before, but he’s very adept at that kind of character and always feels real. He makes Dave’s intelligence work so well that it’s easy to believe the ways he makes physics work for him. Palmer is solid enough as Becky that we believe her when she believes Dave [no small feat…]. Jon Turteltaub seems to be Bruckheimer’s director of choice for his summer blowouts and, yet again, Turteltaub makes the script-by-committee work – mostly by keeping the pace increasing throughout. 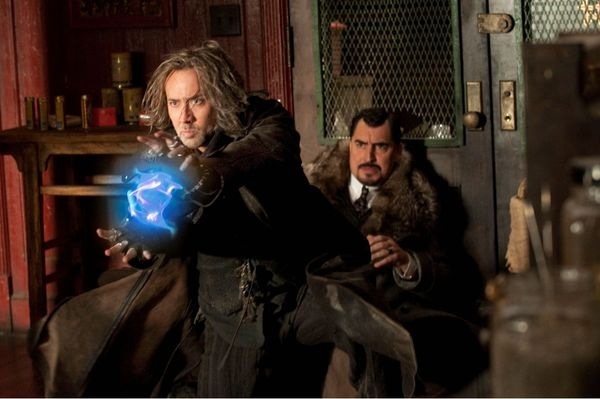 Maybe I’m just a sucker for overblown action movies, but I found The Sorcerer’s Apprentice to be the kind of movie where, if you disengage your brain and sit back and eat your popcorn [or hot dogs, I’m open-minded], it’s a fun ride that will boost your adrenaline and make you laugh. That’s pretty much the definition of goofy, summer fun. Previous PostIron Man 2 Comes to DVD/Blu-ray This Fall!Next PostOur Family Wedding DVD Contest!